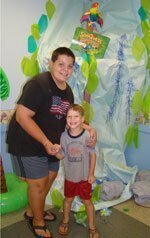 I first heard about Vacation Bible School eleven years ago when my oldest sons were attending NBRC Preschool and to be honest it was something I had never considered before but it would be a long summer so I signed the kids up. I have to admit that when I dropped my 4-year-old twins at NBRC’s VBS while I struggled with a baby in a carrier a two-year-old clinging to my hand, I wondered if it would be worth the trouble but my twins loved everything — the games, music, crafts, lessons, carnival and the beads for memorizing bible verses — so the following year the baby was in the nursery while I volunteered as a guide. It’s been wonderful watching my children grow from being the youngest to becoming junior guides enthusiastically helping the little ones navigate VBS. 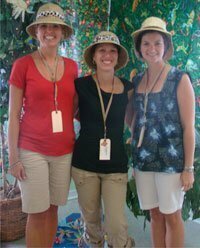 Every year we look forward to the special week of VBS — seeing old friends and making new. We hope you will be among them! Vacation Bible School runs this year, August 11-15, 2014 from 9-11:45 AM and is open to all children 5th Grade completed through 4 years old by 12/31/14. Information can be found here.